Wow, we’ve already finished the first two weeks of summer camp at TP. It’s been fast, but it’s also been great. The Treasure Hunt and decisive victory for the Red Team on Pirate’s Day, filled with several interesting camper activities and ending with a stylish walking-of-the-plank by the Blue Pirate King. 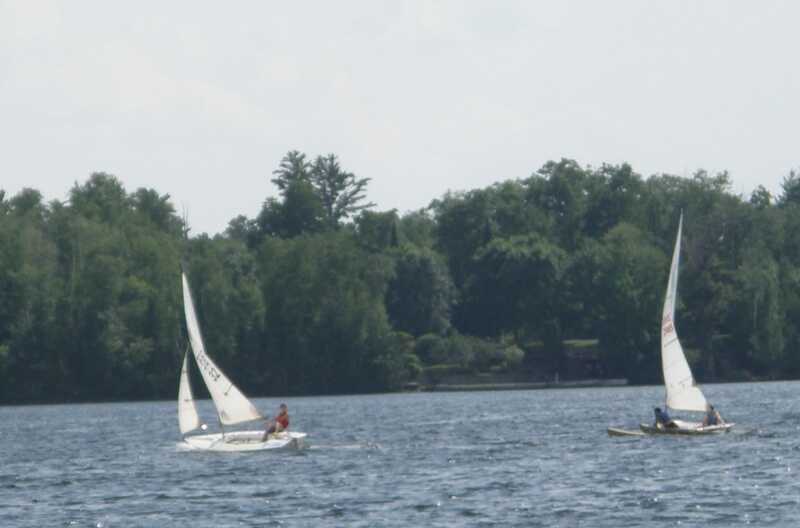 A Sail Race versus our sisters at Camp Woodland. Camp cookout, with hamburgers cooked by Cabin 11. Thanks Cabin 11, and congrats on winning the Treasure Hunt last Sunday. It was a good week for your cabin. Workshops began, with nine – count ‘em! – nine different choices offered to the boys. Something for everyone. 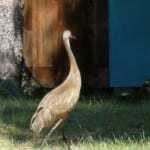 Canoe trips for Cabins 45, 7, and 12, led by veteran Tripper (and Eagle Scout) Scott C.
A visit from 2 adult and their 2 baby Sand Hill Cranes strolling about the camp. 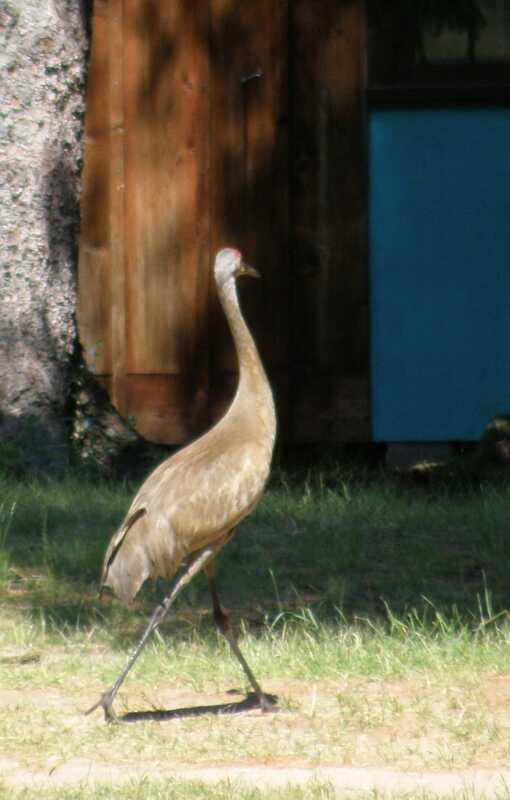 Kudos to the campers for keepingtheir distance as the Crane family strutted around TP – finally meandering their way to Lake Nokomis and swimming off. An impressive 4th of July Campfire with both Towering Pines and Camp Woodland, featuring several great camper skits, lots of songs & cheers, and guitar performances by Director Jeff J., Will & Calla D., Father / daughter duo Jon & Jessica S., the TP Guitar Workshop group, and counselor Andoni A.
CIT trip to Kathy’s Ice Cream for winning the weekly Cabin Clean Up contest. Nice work CITs! The less dubious honor of cleaning the Counselor Cabin goes to the staff of Huron Cabin 45 – thanks guys, it looks great. The Chief’s Campfire, where TP traditions were discussed, then the Cabin Chief and Medicine Men (chosen by the campers themselves) were announced. Wildlife aplenty, including several sightings of the Lake Nokomis bald eagle. Also, the Zoo and Skin Diving classes have borrowed plenty of frogs, toads, and turtles from Mother Nature for the TP Zoo. They will, of course, be released at the end of the summer. A daring escape, and subsequent capture of the TP Zoo Bunny. Please ignore any rumors that Little Bunny Foo-Foo may have been an accomplice – those are unfounded pure speculation. Innumerable ranks passed by campers in tennis, riflery, archery, riding, instructional swim, etc. Everyday, our campers are building confidence by building skills. Cabin bonding through activities like soccer, tennis, water basketball, Angle Ball, kick-the-can, etc. 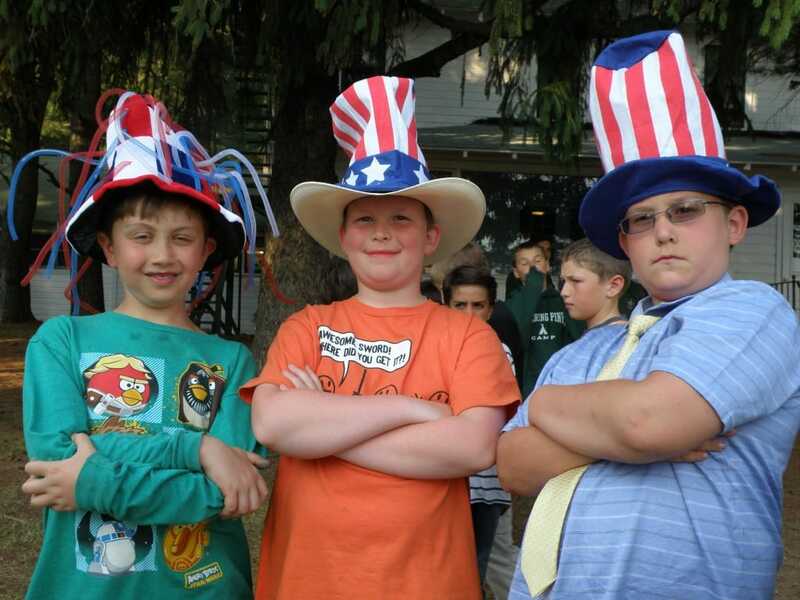 Tons of great “camp life” photos on the Towering Pines Facebook and Smugmug photo galleries. Access the pix through the Photos tab on the www.toweringpinescamp.com website if you haven’t seen them yet. Daily postings on the camp blog by the enormously talented and calendar-caliber handsome wordsmiths of the TP staff. Some artistic license may have been taken on that previous bullet point. No wonder the summer is flying past – we’re packing our Towering Pines days with funs, activities, and friends! There’s plenty more TP excitement left to come over the next 4 weeks, so keep checking in.